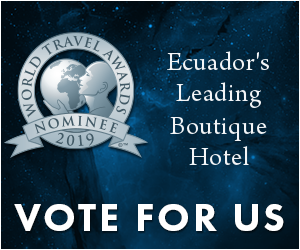 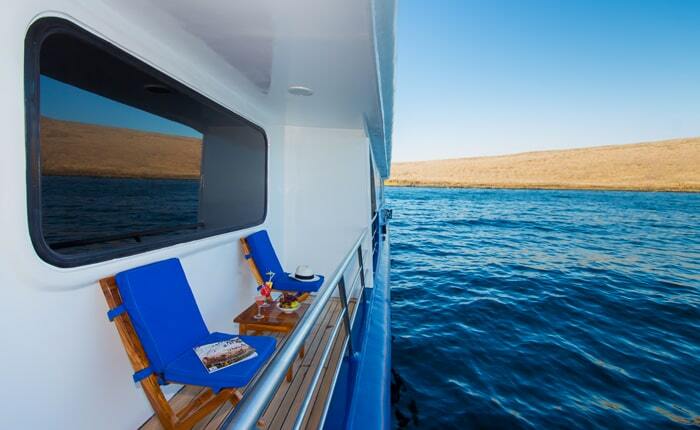 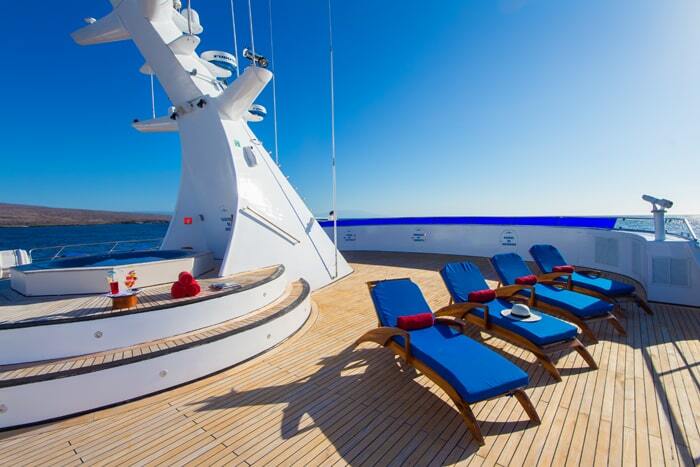 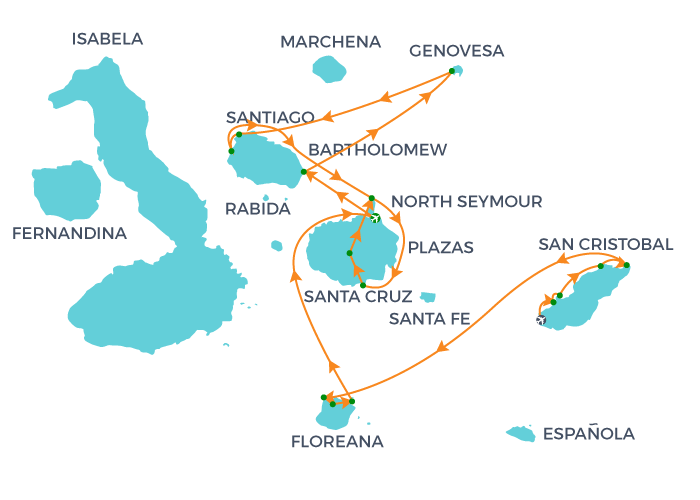 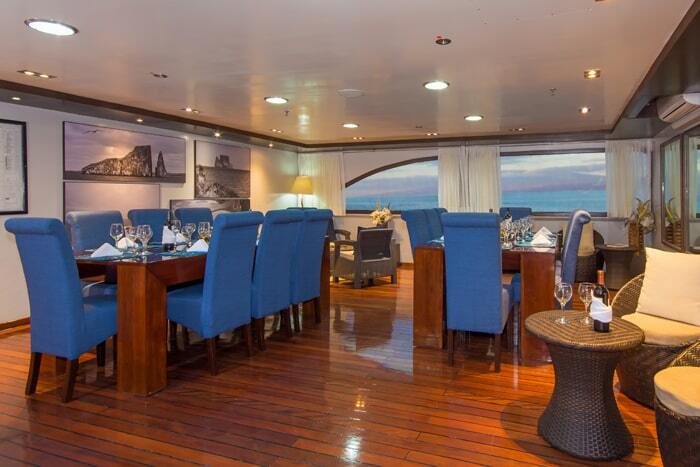 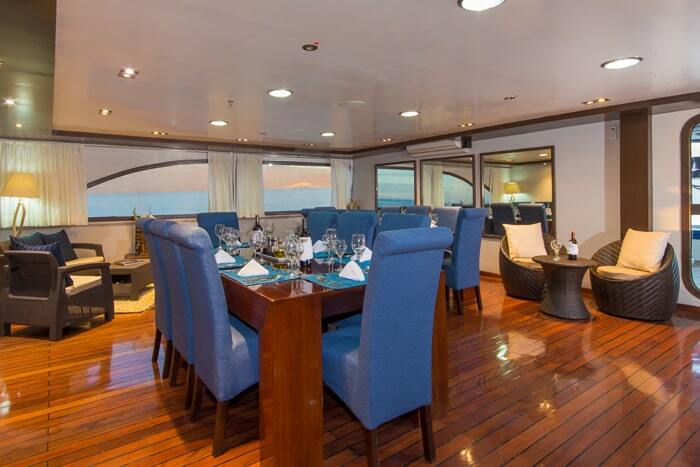 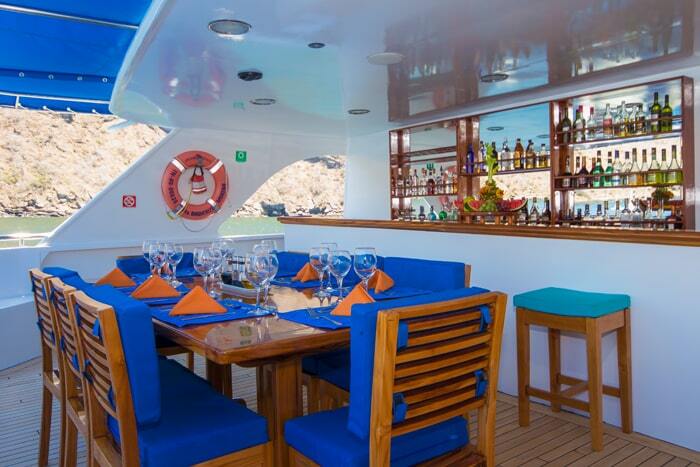 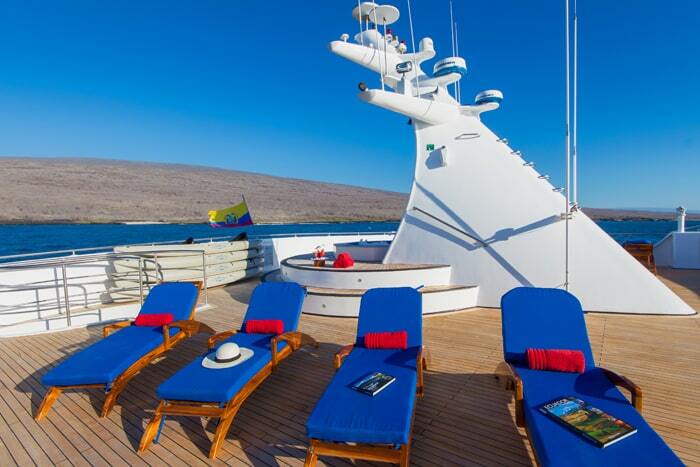 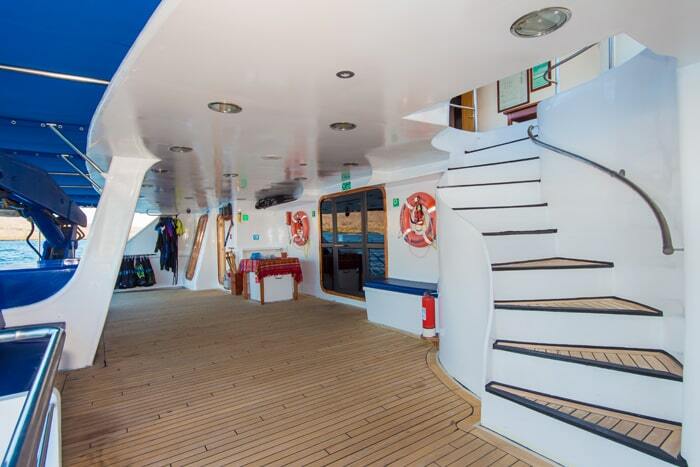 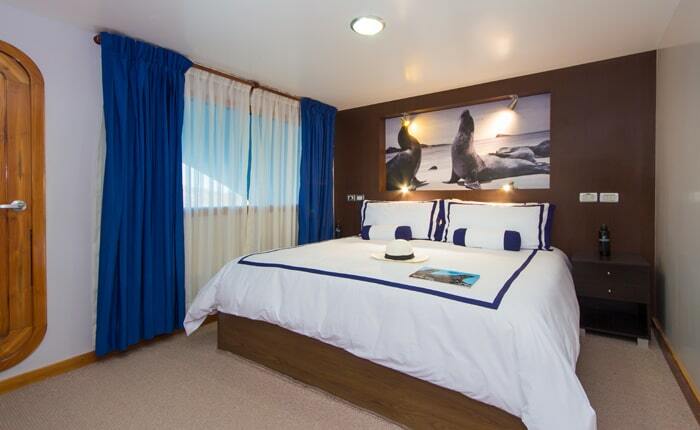 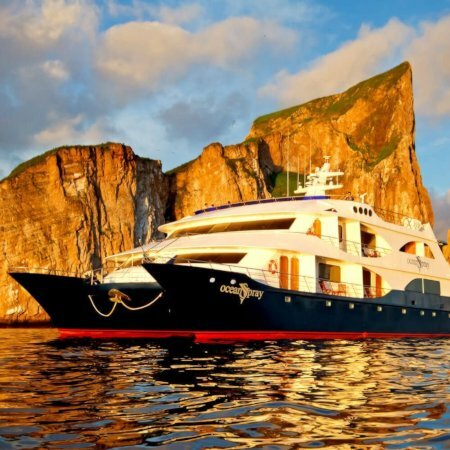 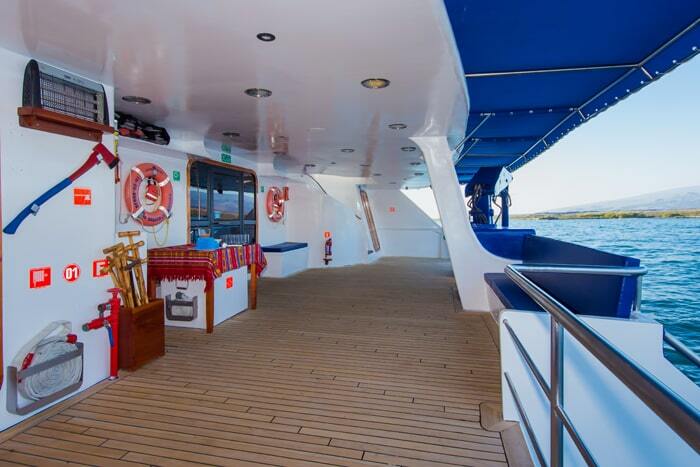 This last decade has been full of new additions to the offer of luxury cruises in the Galapagos archipelago, with even more spacious stare rooms and social areas than ever, yet we still have occasions to be surprised. 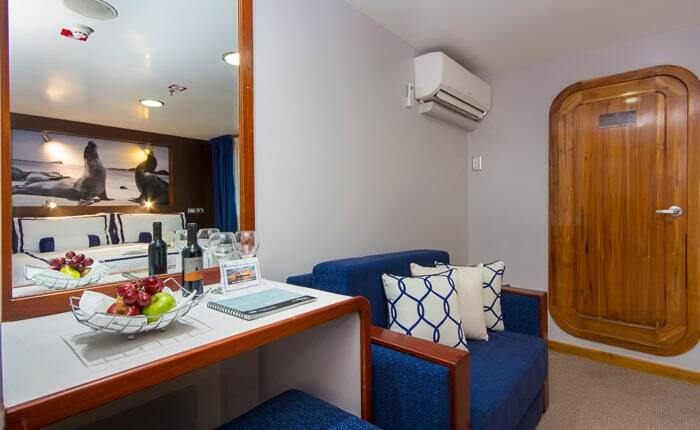 Some years ago it would have been difficult to imagine such interiors and exquisite décor would have become possible to this point without sacrificing comfort and sustainability. 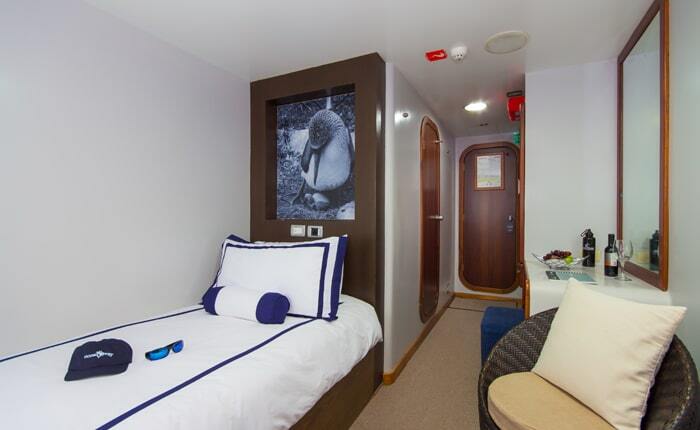 Ocean Spray Mega-Catamaran launched on November 2011 and since then has set a model followed by her sisters Petrel and Camila. 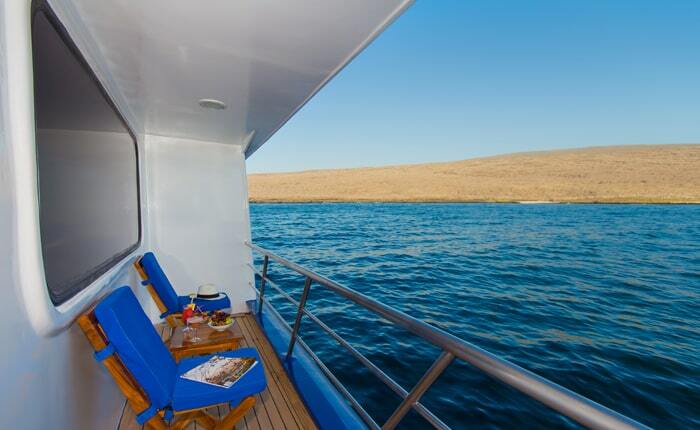 Cruising at a speed of 15 knots, it remains highly stable and silent, not to distract its guest from their dream vacation. 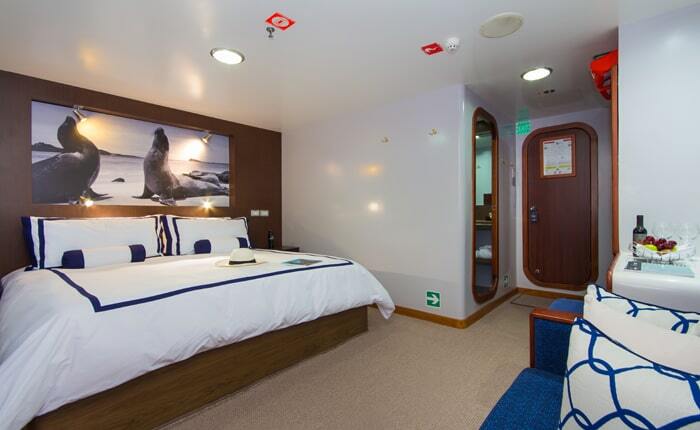 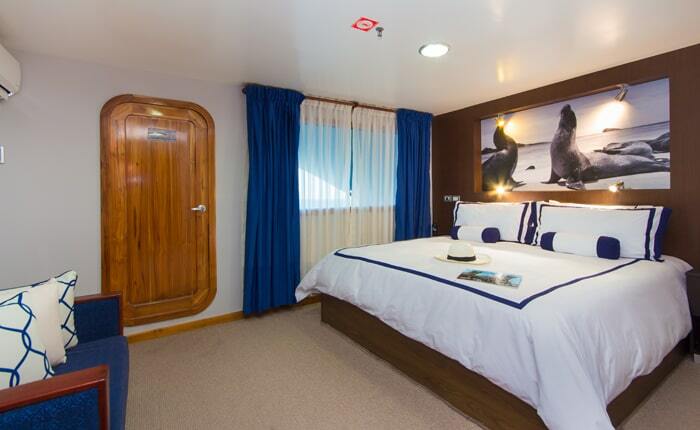 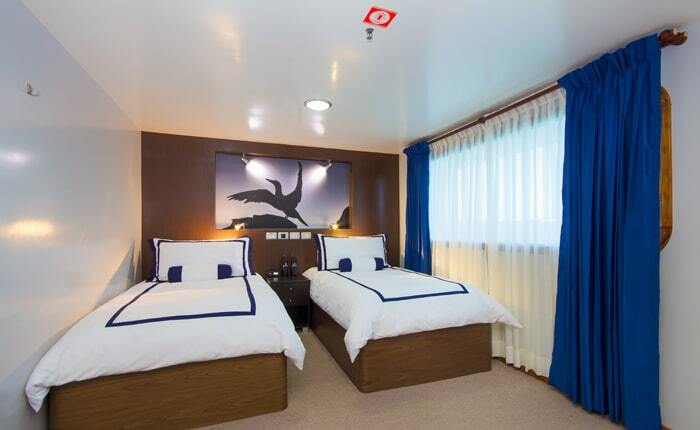 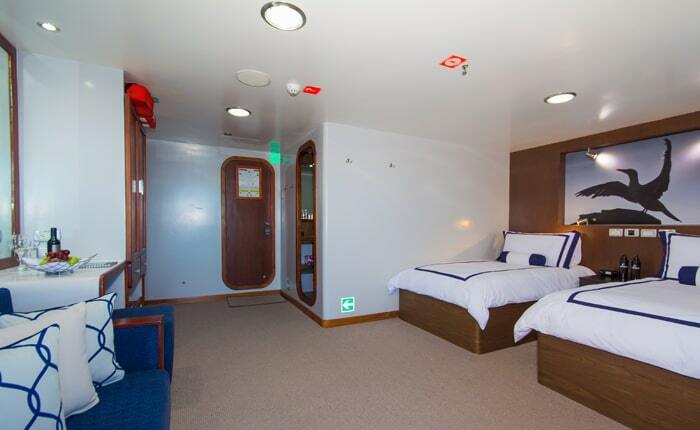 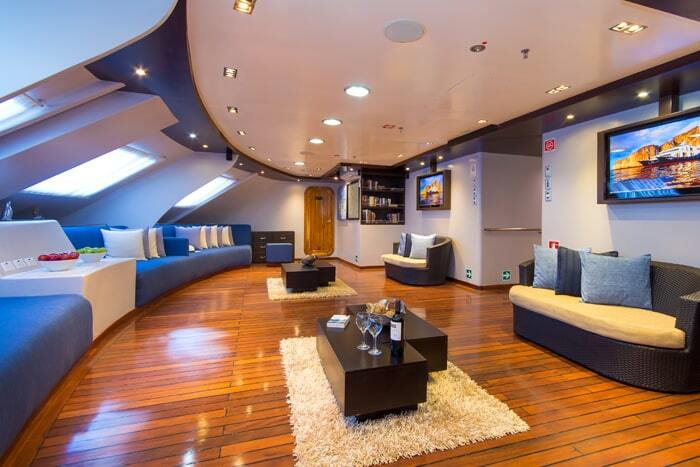 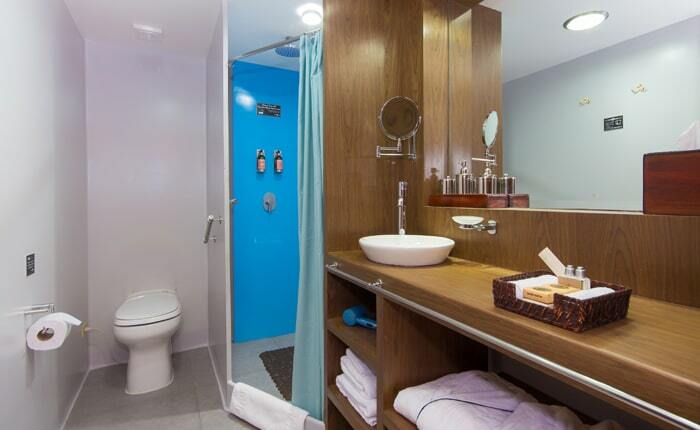 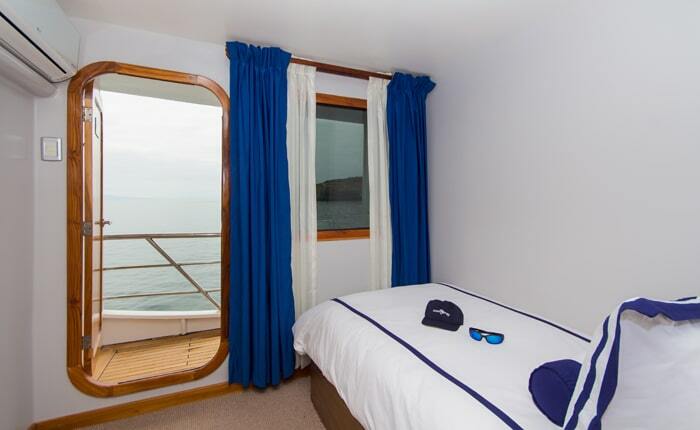 It features 8 double or twin cabins complete with private terrace and bathroom, one single cabin, and several ample social areas on both ends of the ship. 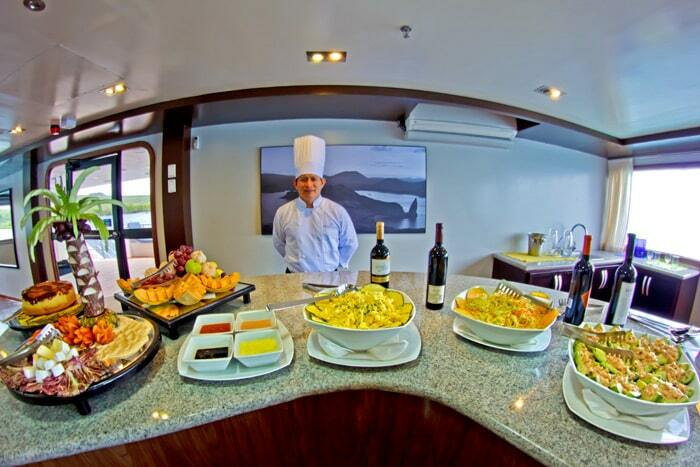 Also offers buffet, al-fresco dinning, bar, and jacuzzi in a panoramic view sundeck.